ADVANCE’s strapline for the SIGMA 10 is ‘Epic XC’. Its predecessor, the SIGMA 9, was a low end ‘easy C’ in terms of pilot demands. Since then ADVANCE have added a new ‘high B’ wing to their range, the IOTA. Consequently the SIGMA 10 has moved up to the middle of the C class, with a higher aspect ratio and more cells, sitting nicely between the IOTA 2 and OMEGA XALPS 2. Thanks to ‘extensive tension and weight optimised Sliced Diagonals’, ADVANCE’s new XC flagship has 15 % fewer support points and 11 % less line metres compared to its predecessor. ADVANCE claim that the resulting performance increase is noticeable. But is it really, and what’s it like on the ground and to fly? The SIGMA 10 inflates and builds a wall readily. It needs some care to get the layout right and to check the tips. Inflation is very easy for its class in light and moderate winds. In stronger winds it has a tendency to come up quick, requiring the right input and movement towards the wing as it comes up, to reduce energy. There is a slight tendency to sit ahead of the pilot, it needs checking at the apex – especially in stronger, gustier conditions. Overall, slightly more demanding than its predecessor but fine for its class. 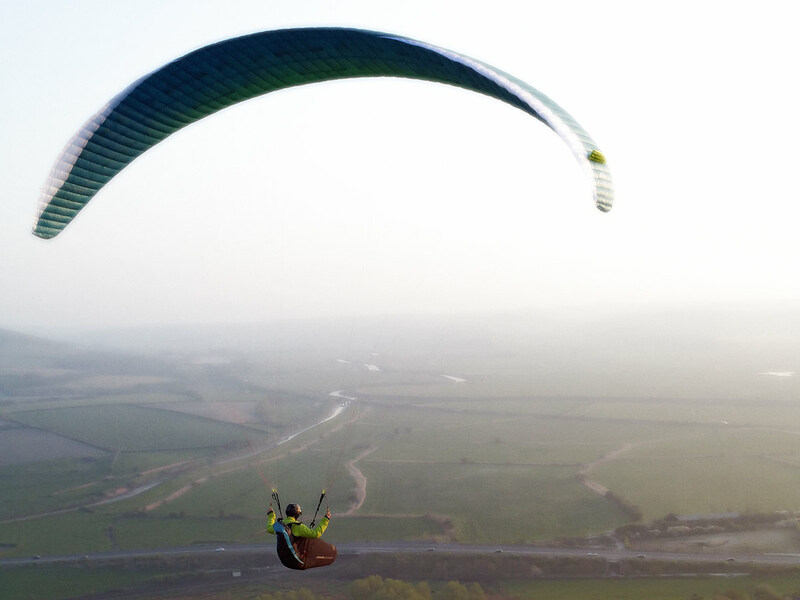 The SIGMA 10 has a generally very well-balanced feeling and kiting behaviour. My impression is that ADVANCE must spend quite a bit of time also on the ground handling characteristics of their wings. The SIGMA 10 has no tendency to drop back, coming up even from a low angle, which I am sure will lead to more successful, less failed, launches. This however means that it’s not so easy to hold in the deep stall phase, making ‘floating’ the wing back up the slope more demanding. No big deal but I find that the C-handles get in the way a bit when ground handling. Whilst mentioning these, I’d prefer if ADVANCE had incorporated a system to connect the C’s and B’s, to reduce sail creasing when using the rear risers to control the angle of attack on bar, as they have since done very nicely on the OMEGA XALPS 2 and IOTA 2. Without this I find C-handles a bit gimmicky, and not really so useful. 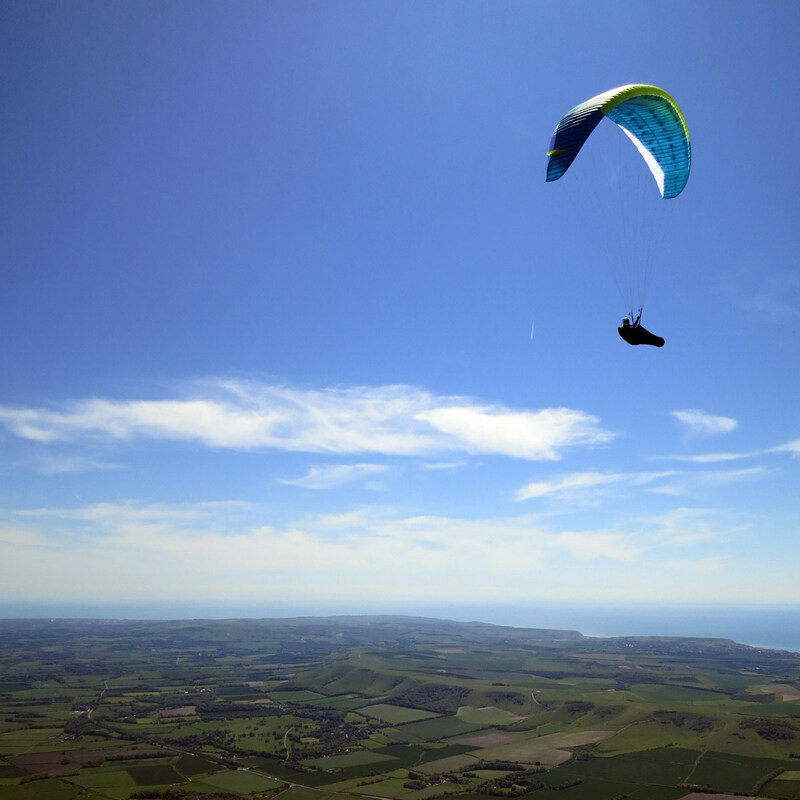 They are convenient to hold on to whilst gliding, but not as effective as they could be to use in-flight. I would’ve preferred if the split A’s weren’t fixed to the main A’s, from the point of view of handling convenience when ground handling and inducing big ears. 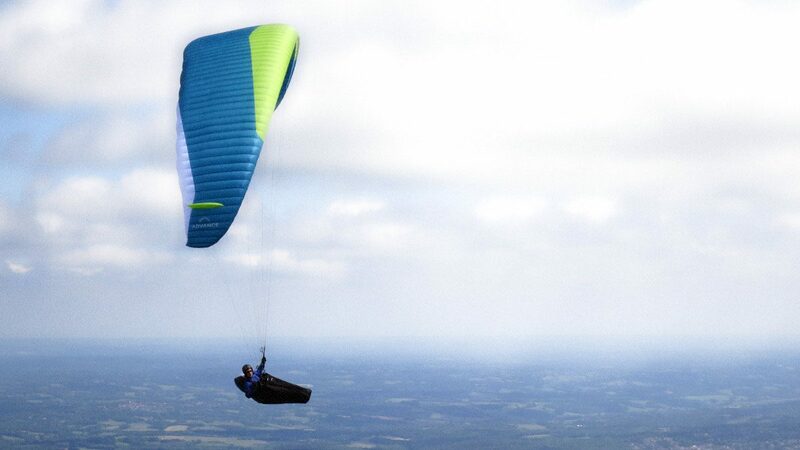 In flight the SIGMA 10 feels taught, refined, highly efficient, and cuts cleanly through the air. 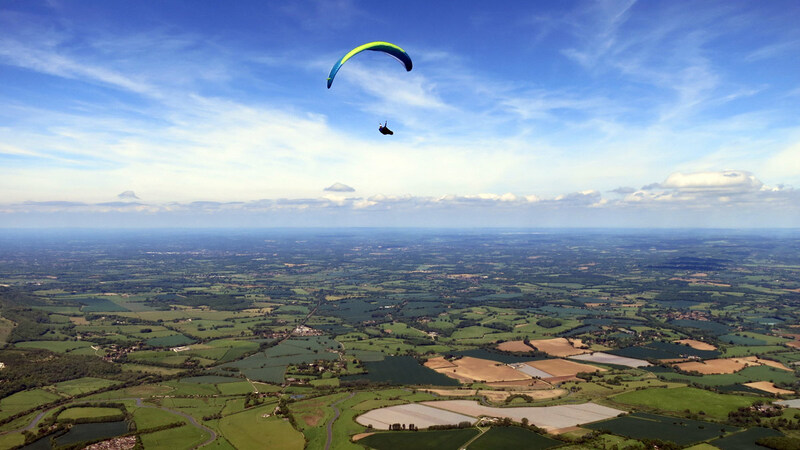 In mild to moderate turbulence the pilot can let the wing move around without issue. In stronger turbulence it requires good input to keep the wing overhead and stop collapses. I found the wing communicates well what’s going on in the air, in a variety of conditions, without being too nervous. In turns the SIGMA 10 handling is sharp, responsive, progressive and precise. Despite this, I found it surprisingly forgiving to over-inputs for a wing of this class, giving excellent warning of approaching spin/stall. For me this combination of ‘forgiving agility’ gave me the real confidence to crank the wing round in even very broken lift, often nipping inside of and out-climbing pilots on hotter, less manoeuvrable wings. Testing the pitch by ‘dolphining’ the wing, the SIGMA 10 converts pitch inputs efficiently and quickly builds up energy, to begin with. It moves quite freely up to around 45 degrees but then it feels like some mild auto-dampening kicks in, preventing it from running away with itself. Whilst it’s certainly possible to induce a front tuck by really trying (or I guess really bad pilot input in turbulent air) my experience was that it is quite resistant to this in real life situations. Trying some wingovers, the SIGMA 10 soon put a big smile on my face! Despite being out of practice with wagga, and not having a lot of height to play with, I found the combination of sharp, precise handling, excellent energy conversion and taught, collapse resistant sail meant that I could quite easily build up a nice rhythm and get some nice speed and energy going. The first time I thermalled with the SIGMA 10 I immediately found it very easy and intuitive to thermal. I could feel where the best lift was, put the glider exactly where I wanted, and adjust my turns with ease to make the most out of the lift as it evolved. 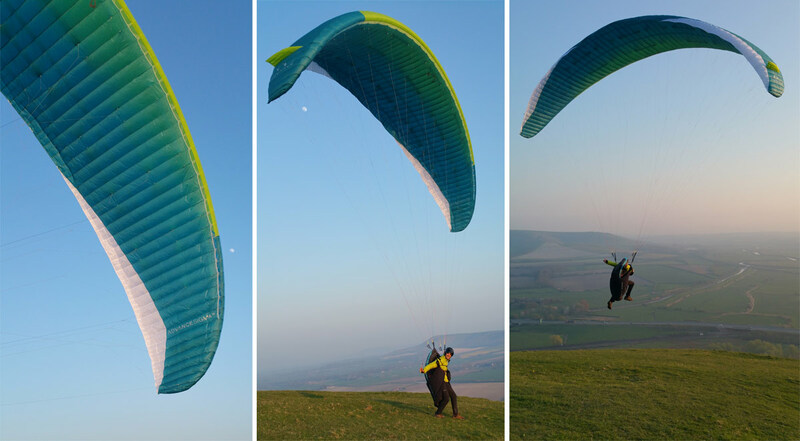 Having flown it for around 50 hours in a big variety of thermic conditions, this initial impression has been confirmed. Some wings might be very slightly better in extremely weak climbs, some wings might be very slightly better in very strong climbs, but my feeling is that the SIGMA 10 is an exceptional all-rounder. It climbs very, very well in both weak and strong climbs, significantly better than its predecessor in the weak stuff. Flying with top UK pilots, including some nice cross country flights, I had good opportunity to see how the SIGMA 10 compared to their Enzo 3s and Zenos. On the SIGMA 10 I found that I was generally climbing as well or better than them. The more difficult the climb, the better I did. On glides they clearly had a significant advantage in terms of top speed however, judging by height difference and their inability to shake me off their tails, any glide angle advantage was not so clear – and I repeatedly caught them back up again by out-climbing them. From the very first flight it felt to me that the SIGMA 10’s trim speed is very good i.e. fast for its class. Flying side by side with many other wings for extended periods, from ridge soaring to long glides, confirms this. Some gliders are trimmed ‘too quick’, to the detriment of their sink rate and climb efficiency, however the SIGMA 10 is excellent on both of these counts: a significant improvement on its predecessor. The speed system is quite light, very efficient and very usable all the way through its range. From what I could tell, the top speed and glide at top speed seems to be exceptional for the class, especially when considering relative levels of pilot demand. I’m a bit of a chicken when it comes to gliding on full bar (mainly due to seeing many other pilots fall out of the sky, sometimes spectacularly, when doing so over the years) but the SIGMA 10 inspired me to use more bar than I normally would, allowing me to keep up with much hotter wings. You can’t be too silly about it though, active piloting is still required when flying in active air. 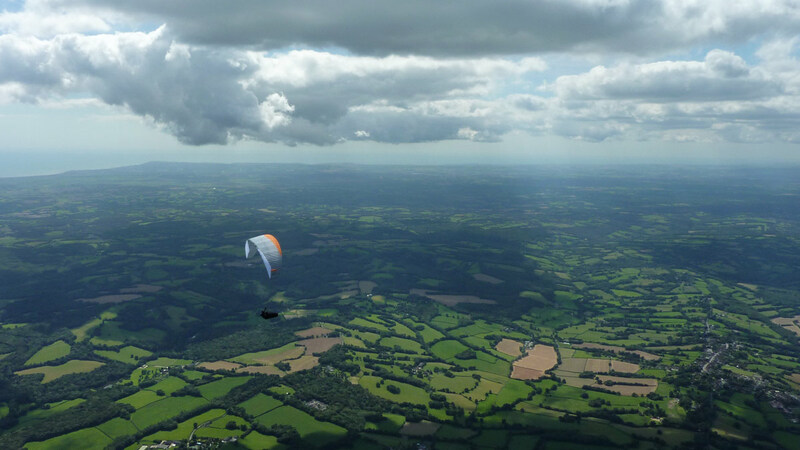 I did have one good 50% collapse when getting a little too blasé on full bar on one occasion; the glider behaved impeccably, recovering with a sharp bang and quickly returning to normal flight. I guess that at least some of the SIGMA 10’s excellent qualities might be attributed to its C-wires. Therefore I think I can put up with the very mild inconvenience they cause when packing, requiring a bit more extra care. At least they don’t require a ‘folding pillow’ or inflatable tube, as some wings do! 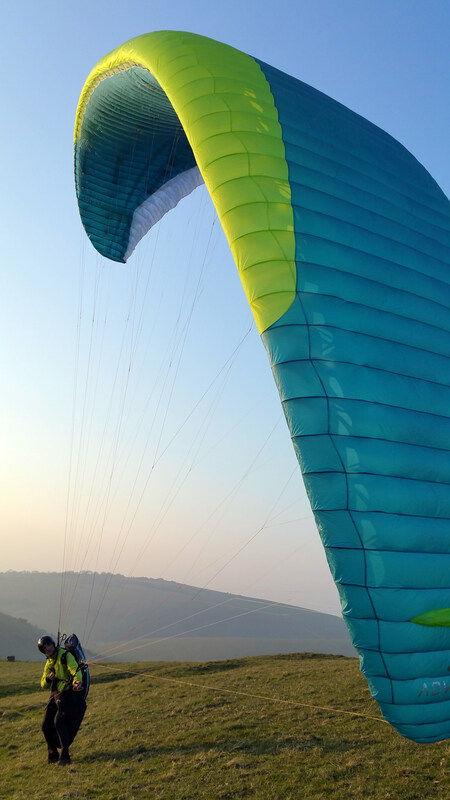 Overall, I am extremely impressed by the SIGMA 10’s climbing and gliding performance – especially when considering the relatively low level of pilot demands! The performance seems at least as good as current ‘high C’ wings (with higher aspect ratios and higher pilots demands) and even some Advanced class (low D) wings. It’s great that the SIGMA 10 comes in 5 sizes, providing ‘seamless weight ranges’ (recommended weight ranges for each size which don’t overlap) so that pilots know which size Advance recommend they fly, with wider certified weight ranges that do overlap, so pilots have the choice to fly more or less loaded if they so prefer. SIGMA 10: Who’s it for? 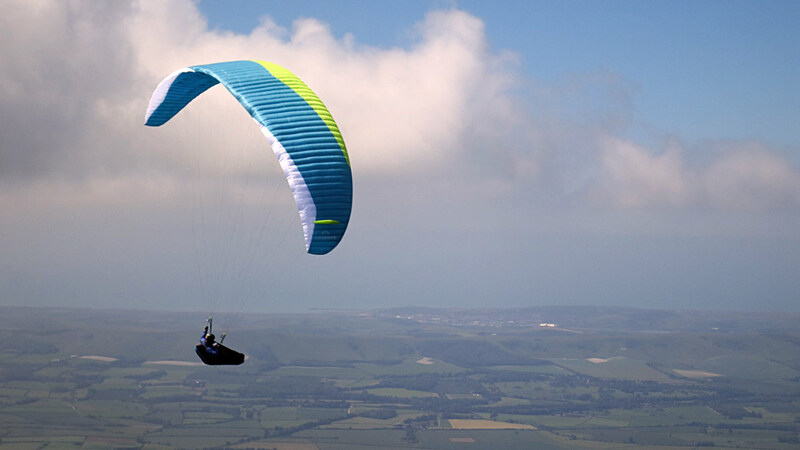 The SIGMA 10 is best suited to well-experienced pilots who have good ground handling skills, are able to fly actively and are well-versed in SIV manoeuvres – as you’d expect for a true ‘mid C’ wing. It’s an excellent wing for ambitious XC pilots who’ve outgrown the B class and want more performance and more dynamic handling to upgrade to, without biting off more than they can chew with a more demanding wing. I’m sure the SIGMA 10 will be a top contender in the sports class in ‘social’ competitions too. 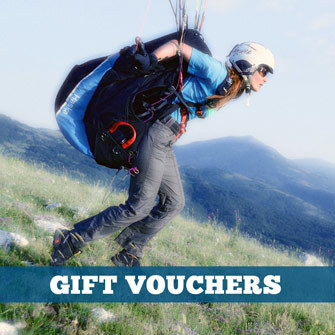 It’s also a great choice for more experienced XC or ex-competition pilots who are still keen to fly lots of XC and have ambitious ideas to beat their personal bests whilst having fun and having a better chance of not having to chuck their washing and staying in one piece. So, does it deliver on ADVANCE’s promise of ‘Epic XC’? I give that a resounding YES!